With thousands playing at any given time and updates being rolled out on the regular, it’s nothing short of a small miracle that games such as Apex Legends remain as bug-free as they do. If Respawn Entertainment’s thoroughly well-received effort on the Titanfall series has taught us anything, of course, it’s that the studio knows how to write clean code, but even that is no guarantee of a bug-free experience. Since launch back in February, the battle royale has largely managed to avoid buckling under the pressure of its popularity, with servers holding steady and game-breaking glitches being kept to a minimum and for that, Respawn deserves credit, but its latest venture is far from exempt. As recently as last week, news of an exploit allowing Wraith players to create infinite portals spread around the internet like wildfire and today brings to light yet another potentially massive headache for player and developer alike. 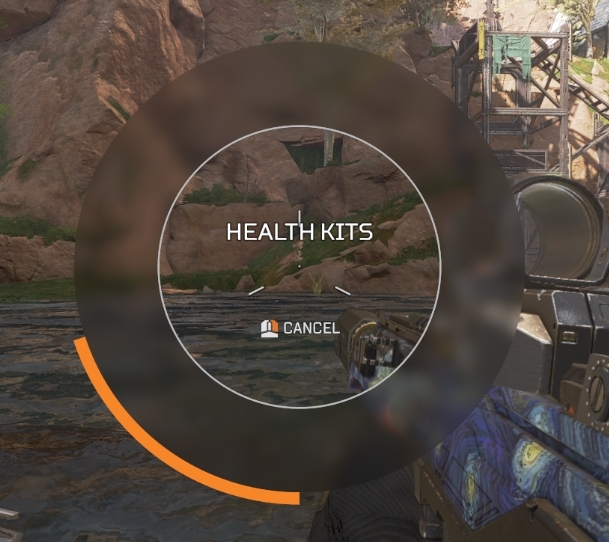 As noted by Reddit user Koelol, a particularly invasive graphical glitch affecting Apex Legends‘ in-game HUD has emerged that makes all consumable health and shield items invisible and therefore unusable. For an example of what that looks like, see below. While it’s currently not clear how widespread the glitch is (or what causes it, for that matter), several players have responded to the thread with similar reports, with the general consensus being that it’s most prevalent when playing as Bloodhound or, more specifically, when triggering his ultimate ability. Is Respawn aware of the issue? A member of its community team has yet to respond to this particular complaint, so it’s impossible to say. One can only hope that it is, though, as it goes without saying that being unable to heal or replenish shields in the heat of battle could – and probably has – been directly responsible for several unfair losses in Apex Legends. As always, watch this space for further updates.